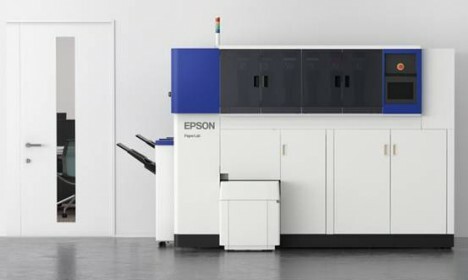 Printer company Epson has developed the world’s first machine for performing in-house paper recycling without the use of water and with the ability to produce crisp white sheets, calibrated to custom brightness levels. The PaperLab uses a technology that first strips the papers into fibers and employs special adhesives that bind the fibers in creating new paper, all without the costly, time- and money-consuming cycle of sending out paper for recycling. Aside from the sustainability benefits, the PaperLab also makes shredders potentially redundant, as sensitive documents can simply be recycled on the spot. The machine pumps out a whopping fourteen sheets per minute, too, making it able to keep up with demanding, high-paper-waste environments. The device debuts next year, and while no price has yet been set, it is large, innovative and intended for work environments and will likely cost more accordingly. See more in Industrial Design or under Technology. January, 2016.